A New Room Addition Can Help Increase Space in Your Home! If your family is growing, or you simply need more space, a room addition is the way to go! We will add on to the existing structure of your home and make it look and feel as if it has always been there. Room additions can bring a unique extension to your home, whether it’s a spare bedroom for your extended family, a sunroom to brighten up your home, or an extension to your garage for optimized space. Let’s face it, you can pack up your entire home, move, and then unpack,or simply add an addition! True, additions and renovating your space can be a bit tricky when working with an already-existing structure, but at CMP Construction, this is exactly what we do! We offer a wide variety of room additions tailored to fit your specific needs. We have done a plethora of different additions. Below are a few to get you started. We can take on any project you have! CMP Construction can do a variety of additions, and unlike many of our competitors, this is something we do often. We take pride in the quality of our additions and offer experienced services to create the extra space that your home needs. 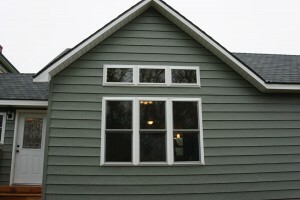 Contact us for more information on how you can begin working on your home addition project.